We offer a wide range of high quality Brownstone Steps to our customers. These products are manufactured using high quality sandstones that are procured from reliable vendors. We believe in effective and timely delivery of these products once ordered by our clients. These are also used for enhancing the splendor of landscapes. 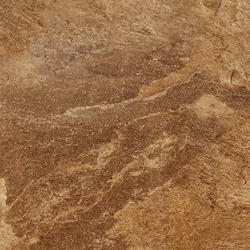 We are a leader in offering a best quality of Brown Quartzite Stone to our clients. Extensively used in roofing, flooring and wall cladding. These have glossy surface, sleek look and glossy texture makes it a flawless alternative for constructed gardens. These are broadly utilized in outdoor space and flower bed routes as they are easy to stroll on. With an objective to fulfill the ever-evolving demands of our clients, we are engaged in offering a wide assortment of Kandla Brown Circle Stone. 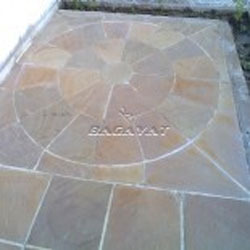 The truly impressive potential of natural stone is brilliantly demonstrated when it is placed in a circle feature. 2.0 metre - Classic Circle pack supplied with squaring off kit. 3.0 metre - Classic Circle pack supplied with squaring off kit.